...by NOT using it. All of us have prized pieces of wood stashed away, waiting for the “perfect” project to come along. Or maybe we're waiting to improve our woodworking skills before using that plank of bubinga, for fear of ruining it. Or maybe we think that padauk board is just too pretty to cut up. Years ago, I bought a huge stack of wormy American chestnut from an old woodworker who had considered using it to build a dry sink. He told me it had grown on his property and reckoned it was about 100 years old when he hired a sawyer to cut it up because it had fallen. The boards had been drying in his shed for years and years, and now he was too old to work with the heavy boards. He used a walker to get around, and although he could no longer lift large pieces of wood, he kept a tall stool at his bandsaw where he sat to cut small slats for the boxes he nailed together for a local fa rm to use for packing. He showed me around his tiny shop and the numerous stacks of boxes he had made, and I understood why he continued to work with wood despite his limitations. As I drove away with a carload of that woodworker’s chestnut, by the look on his face I imagined he felt disappointed that he hadn’t used it himself. He also may have thought as I was driving away, “I hope that chestnut doesn’t end up in that lady’s fireplace.” So I made sure to pay him homage by using some of the wood in the doors of my tool cabinet. More pieces were used to build the Ephrata Cloister cupboard. My only regret is that I didn’t get that man’s address so I could send him photos of the pieces I built with his wood. So, don’t put off using that precious piece of birdseye maple or zebrawood for too long—waiting for that perfect project to surface or for your skills to improve or for the planets to be in alignment. Use it, admire it, turn it into something other than a piece of lumber, or worse, firewood. You make it more precious by giving it a second life in the form of your project. Although, I love the Northwest and wouldn't consider living anywhere else. We don't have the really beautiful hardwoods found elsewhere in the country. I'm hoping to get a Woodmizer and at least harvest some of the locally planted trees. All our forest are evergreen. Hardwoods are only found in the areas that could be tended. So, those of you that are blessed to be surrounded in hardwood forests. Enjoy! Vic, does Sylvia know you're planning to buy a woodmizer??? 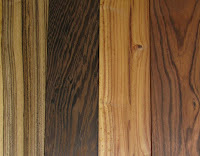 I don't know how close you are to Portland, Oregon, but here is a link to a hardwood lumber supplier in that city. I plan to be in the shop tonight---promise! Well said, VC! I hope we can keep building "stuff" for a long, long time. I plan on using the same method she uses for a new outfit. I buy it, bring it home and tell her...that ol' thing..I've had that for years!!! Wow, I wish I had 5 grand to plunk down on a couple pieces of highly figured bubinga! I'm gonna have to save my money and get some nice stuff to resaw. 5 grand would keep me in PA cherry and walnut for the rest of my life! Well, after reading this article, I realized I have been waiting for the Wood Gods to send me a sign on what to build. I too have a treasured stash. I salvaged some heart pine flooring (1.5" thick x 8" wide) from a house built in the early 1740's. I have had it for around five years now just waiting for the perfect moment of inspiration. So, I guess it's time. Thanks for the inspiration and motivation! Also, thank you for your input yesterday. I appreciate it. Keep up the great work! Adam, I'll look forward to seeing what you build with that heart pine. That's some pretty nice stash. The Wood Gods will be proud! I am anxious to see what the wood will become as well. I am hoping to take late summer/early fall and just work on speculative pieces. We'll see if that can happen!! Oh dear. Now you've made me feel guilty of wood hoarding. The crowning achievement of my hoarding is a blank of Brazilian rosewood measuring 60"x18"x2". I bought it years ago for $80 at a woodworking show and never quite knew what to do with it. I once thought of making a headboard for a bed with it, but I fear the weight of the plank would drive the bed through the floor. Now I have to do something else my guilt gives me gas. Gary, because I don't want you to suffer needlessly, I will selflessly lend you a hand with that chunk of rosewood. Send it to me and I'll make some handplanes out of it. This is so true. I have a stack of beautiful 5/4 12" wide QS white oak. I have 8 boards all over 8' long. That's just the furniture grade stuff. I also have a bunch of turning blocks or really old, exotics. I'm not sure what I am afraid of, but I have had this wood for over 5 years now. Time to get cutting! Actually, you can take it with you. That oak could make a very nice, craftsman style coffin. A little fuming to bring the grain out, and presto! you take it with you.